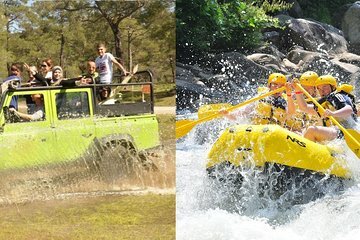 If you’re tired of walks and tour buses and want to inject a bit of adrenaline into your trip, this jeep safari and white-water rafting adventure will provide plenty of thrills. Take a Land Rover off-road from Taşağıl village to Beşkonak, passing through villages with remarkable views over 300 meters above sea level. Once you arrive in Beşkonak, raft down Köprü River straight through the heart of the beautiful Köprülü Canyon National Park.